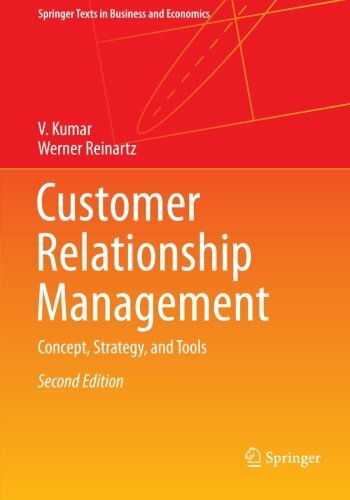 as a comprehensive and up-to-date learning companion for advanced undergraduate students, master's degree students, and executives who want a detailed and conceptually sound insight into the field of CRM. Dr. Kumar received his Bachelors in Engineering and Masters in Industrial Management from the Indian Institute of Technology, and his Ph.D. in Marketing from the University of Texas at Austin. Hi is currently ING Chair Professor and Executive director at the ING Center for Financial Services at the University of Connecticut.